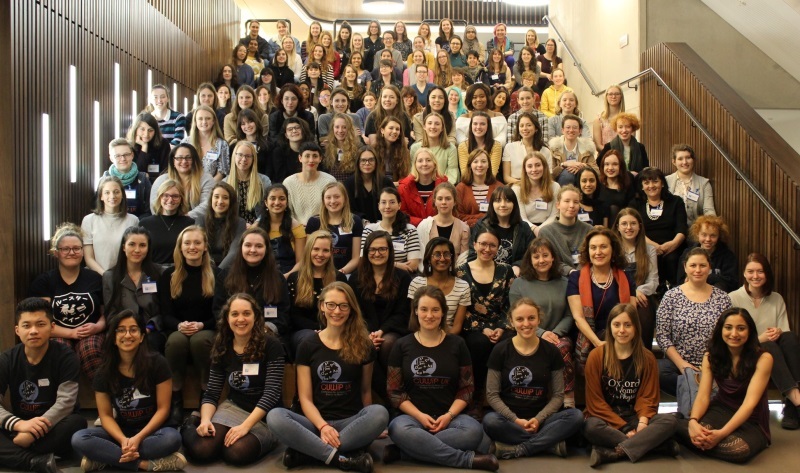 The Conference for Undergraduate Women in Physics UK (CUWiP) aims to inspire physics students, highlight career options and provide a supportive community. The first full day of the conference started with a visit to national research facility, the Rutherford Appleton Laboratories (RAL). The most exciting part for me was the particle accelerator ISIS, the onsite muon and neutron source. The lab also hosts a central laser facility, a space research and engineering department and many other interesting facilities. As well as attending tours, presentations were made by several female engineers who told us about their work at RAL, how they got where they are today and about internship and graduate opportunities. In the afternoon, we heard from Prof Alexandra Olaya-Castro from University College London about her research, inspiring career path and the challenges she faced along the way. Following that I attended a medical physics workshop. As someone who has always been interested in medicine and biology, being able to meet and talk to medical physicists and gain information about the different career options and training schemes was very insightful. Day two started off with talks: Dr Francesca Day, who is a theoretical particle physicist at Cambridge University and a stand-up comedian gave a talk on ‘Science, Creativity and Stereotypes’, which focused on her personal story and research, and general gender and inequality issues in physics. Ms Carole Kenrick, a resident scientist working in primary schools in London, talked about getting young children invested and interested in science. Tours of the laboratories at Oxford University were conducted in the afternoon, and I got to see a particle physics lab, where they worked on detectors for ATLAS, the particle accelerator and detector in Switzerland. I also saw a group working on producing solar cells out of biomaterials and some groups working on telescopes in the Astronomy department. Following this was another talk: Dr Rain Irshad shared information on her career in space science, starting with her aim to become an astronaut, the many setbacks and changes in her life, and how she ended up working at RAL Space. I then attended a career panel, with six physicists who are now pursuing careers outside physics (e.g. Patent law, data science, government adviser). This showcased the many opportunities you can have with a physics degree. The day ended with an informal chat with scientists and PhD students. The conference ended with an academic panel, and a talk from Dr Suchitra Sebastian about combining a career in physics with a life outside of work. Attending this conference benefitted me in many different ways. I realised there are many different career options available to those with a degree in physics, and learned how one can get into these different areas. It was very motivating to hear about all the setbacks people had to overcome, despite making it to where they are today. I now have a better understanding of what it means to do physics research both in academia and industry and what alternatives there are. On a more practical level, I learned about several internship programmes, some of which I will apply for next year, as well as information on postgraduate studies and funding, which will be very helpful in a few years’ time. The most inspiring aspect of the conference however wasn’t the great programme, but that I got to meet so many female physicists and physics students, all very passionate about this subject. Being used to usually having a male majority in every lecture and workshop, sitting in a lecture theatre full of female physicists is quite an empowering feeling. Over the weekend, I got to meet so many great and inspiring people and made many great connections and friendships that will hopefully last for a long time. I’m very grateful to both the organisers of the conference, especially the main organiser Prof Daniela Bortoletto, and the School of Physics and Astronomy at the University of Edinburgh, who enabled us to attend the conference by covering our travel costs to Oxford. One component of our undergraduate degrees is to enable students to cultivate the experimental design, project management, technical and presentation skills which are needed to work successfully in a physics-based research environment. This is achieved primarily through the Senior Honours and MPhys Projects. More specifically, students undertaking these projects learn to: conduct and summarise the crucial aspects of a literature review; organise and use a comprehensive log of the work completed in their project; and write a report on the pertinent aspects of the method and produce a critical discussion of the results and conclusions. MPhys students also have to present an oral summary of the aims, methods and results to their peers, and design and produce a web-based summary for a lay audience. These students undertake their project work within one of the School’s research groups – thus working alongside current researchers and gaining a direct experience of work within a research environment. In order to showcase student projects, the School organised its first Undergraduate Research Conference this April. During the conference, students and staff had the opportunity to view the Senior Honours Project Posters produced by year 4 students and the MPhys Project Public Summaries produced by year 5 students. Conference attendees heard from alumna Anna de Graaff whose talk on ‘A search for missing baryons in the cosmic web’ reflected on her undergraduate project which became a refereed journal paper, and Dr Paul Clegg who described his supervision of a student’s project which formed the basis of a published paper. At the Conference, prizes were awarded to the students who produced outstanding project posters and public summaries. Due to the success of the conference, and positive feedback received from students, the School aims to run this as an annual event. There are challenges and opportunities for all students, but what are some of the difficulties and potential gains faced by mature students? 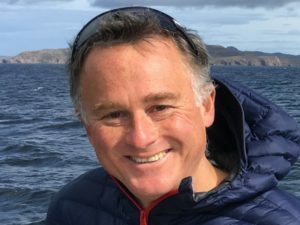 Michael Marshall started studying after a 30 year career and raising a family. He has recently completed an MSc in Theoretical Physics and is currently undertaking a PhD in Theoretical Physics. Why did you chose to study the MSc in Theoretical Physics? I completed my undergraduate degree while working full time. Towards the end of my degree I realised that to embark on a new career in physics I would need a PhD, and the obvious first step was to undertake an MSc. My undergraduate tutors recommended the University of Edinburgh’s Higgs Centre as one of the best places to study theoretical physics. 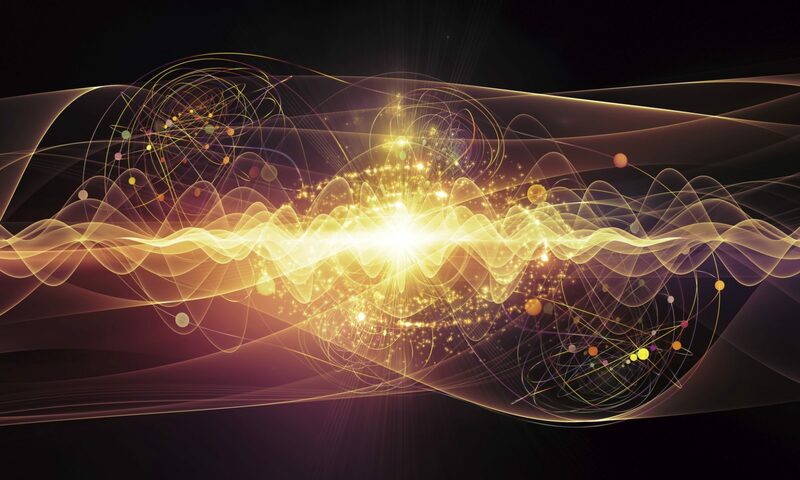 The course took my knowledge of particle physics theory from introductory quantum mechanics to a working knowledge of field theory and the standard model. The satisfaction in having completed the masters is commensurate with the challenges presented by the course work and the sheer difficulty of covering such a large volume of material in such a short space of time. My research project was computational in nature and complemented my newly acquired theoretical skills. I wrote 7500 lines of code, constructing Monte Carlo models of higher twist using deep inelastic scattering data. This was the perfect introduction to the practical business of research, teaching me about popular scientific libraries such as CERN ROOT, LHAPDF and APFEL, as well as the dark art of statistics and experimental covariance matrices. Spending the summer carrying out topical research was the highlight of the degree. Working closely with such an experienced supervisor, who is a prominent member of a large collaboration at CERN, was inspiring and challenging. I was very grateful for his time, insights and valuable discussions. Being part of a large, dynamic theoretical physics department also meant that I had the practical support and encouragement of my supervisor’s endlessly patient PhD students. Did you face any unexpected challenges, and what advice would you give to mature students who are considering embarking on a degree? I would offer a couple of points of advice – you are going to need a holiday before your course starts, so do take one! You’ll have to cancel your social life for the duration of the degree (except perhaps for a couple of weeks off at Christmas) and you’ll be relying on your partner, so be especially nice to them. Unless you are much better prepared than I was (and I thought I was well-prepared), I’d put aside a good four weeks for study before the course starts to make sure you are up to speed. Take a look at the course and subject outlines [check out the Degree Programme Tables http://www.drps.ed.ac.uk for these] and reach out to the course organiser for suggestions. Very quickly after starting, I had the experience of struggling academically for the first time. My peers’ response was to get together and tackle study and tutorials as a group. However, I felt the age difference very keenly and foolishly expected that, because my class-mates were a good decade younger than my offspring, I should somehow be a better theoretical physicist than they were. So I ploughed on and studied largely alone. My advice is therefore to make sure you study with your classmates (this may very well be second nature to most). You’re going to need the collective wisdom of the group in order to understand the material. Few students will be fully prepared, so the mathematical techniques you’ll share will be invaluable. Most importantly, by discussing the material and the tutorial problems, you will absorb the material far more deeply than is possible on your own. The MSc in Theoretical Physics was the second Masters I have completed – the first, in 2002 when I completed an MBA majoring in finance, was very much an extension of my career. Studying the MSc in Theoretical Physics at an even more mature age, and this time for self-actualisation rather than for money, was an entirely different, far more challenging and satisfying experience. As a result, I now have my dream career and I cannot overstate how much happier and fulfilled I am going to work each day as a theoretical physics PhD student than I was in my past career. If you are thinking of doing the same, I’d encourage you to start: “boldness has genius, power and magic in it”. 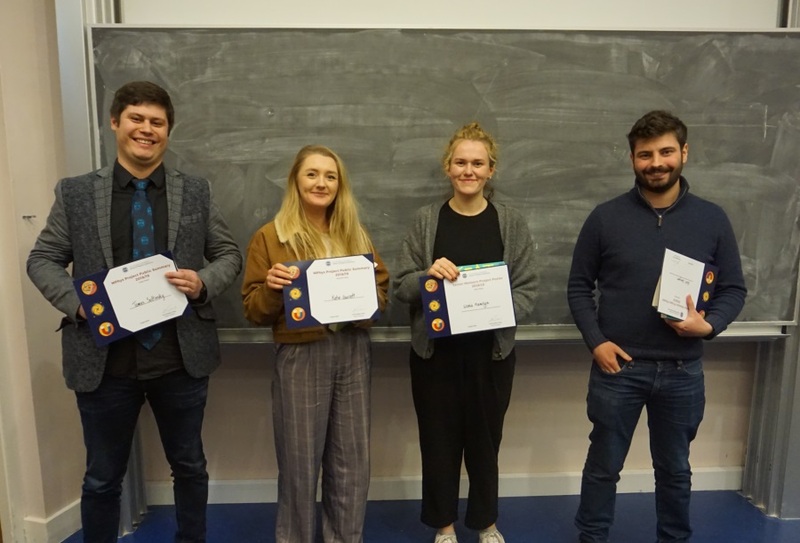 Studying and working in physics and astronomy – stories from the School of Physics and Astronomy community at the University of Edinburgh. To post articles on this blog, or share comments / raise queries, get in touch with Caroline Keir (caroline.keir@ed.ac.uk, tel 0131 651 7855).